If you are like me, you may feel like you’re pulled in many different directions at once, looking for every chance to learn how to do what you do even better. Whether your intent is to help your own child, someone you teach, or a person who comes to you for guidance, there are so many opportunities out there to learn! In fact, my inbox is inundated daily with messages from people hoping to share courses, tools, and programs that they’ve found help others live their lives more fully. Personally, I love to learn! 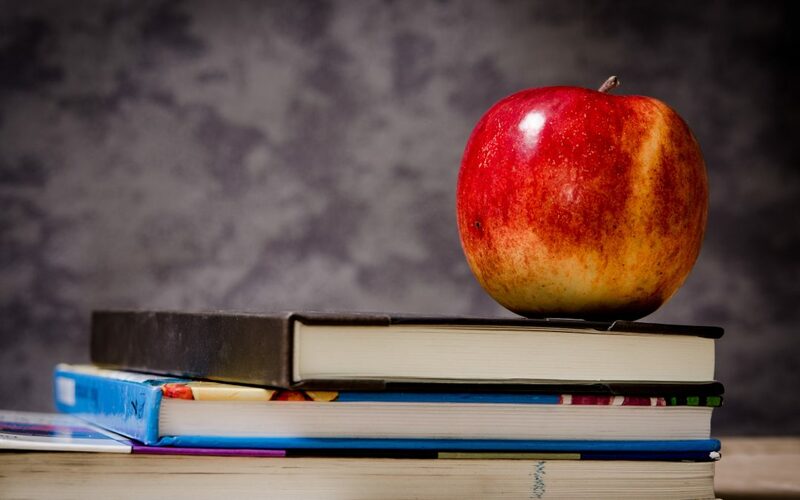 As my world involves helping children and adults who have struggles related to communication, cognition, literacy, and learning, I am always looking to expand my knowledge and grow my skills. If I could, I would spend all of my time reading the literature, attending workshops, networking with colleagues, and participating in online summits! Here are some of the fantastic learning opportunities that I am considering attending, or wanting to spread the word about, at this very moment. If you’re interested, many of my personal events are listed on my website, but this post isn’t really about promoting my own programs. It’s more about highlighting events that you may not realize exist that could potentially assist you in caring for those you love. Recently, I’ve been taking advantage of free or very affordable online learning opportunities. I participated in one this past summer as a presenter at the SLPSummit.com. It was an incredible thrill knowing that I was presenting to nearly 1,000 participants live online and that thousands more would view the free recording at a later time that was more convenient for them. I try to attend live online presentations whenever possible so that I can ask questions and actively participate in the chat to interact with other attendees. However, I do appreciate the fact that if I am busy, more and more webinars and online summits are available “on-demand,” perhaps with a minimal additional cost, so that I can watch them whenever and from wherever I want. 2 Days of 2e Virtual Conference – This is for parents, educators, and clinicians to help them bring out the best and raise self-esteem in 2e learners (gifted with a learning difference). 12 renowned experts and innovators will be discussing topics ranging from (Mis)identification, anxiety, and perfectionism to underachievement and advocacy. This live event takes place on October 26-27, 2018 and remains available on-demand through April 2019. $129.00 per person. Click here for more information and to register. Autism Parenting Summit hosted by Sarah Wayland Ph.D. and Penny Williams – 31 autism and parenting experts will share effective symptom management and parenting strategies for kids with less-obvious autism and their parents. This event runs November 5-9, 2018. You get free event access but will receive bonuses and forever access to the presentations with an Empowerment Pass for $77. Click here for more information and to register. “They May Not Know…” Free Monthly Webinar Series by Joan Green, M.A. CCC-SLP of Innovative Speech Therapy – Hey, that’s me! This program is my baby (Technically my seventh baby if you count my four kids and two dogs)! 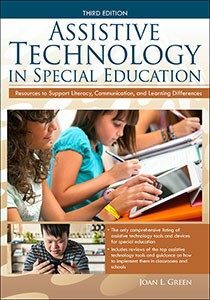 Even month, I share what I have learned to help the many families and professionals who are struggling with communication, cognition, literacy, and learning challenges to take advantage of the ever-changing world of technology. The webinars are free when viewed live or for a few days following the event. To view them “on demand,” you simply need to pay an introductory price of $25.00 at my new membership site. Click here for more information and to register. Some of the major conferences focusing on assistant technology can end up costing a small fortune to attend in person. However, they do offer tremendous value in terms of the relationships formed, the in-person and hands-on opportunities to touch and feel items found in exhibit halls, and the vast array of expert speakers. With so much going on, I’m able to customize my day with only the courses and speakers that interest me. ASHA Convention 2018 – American Speech-Language-Hearing Association (ASHA) Revolutionary Learning. Evolutionary Practice. Held on November 15-17, 2018 in Boston, Massachusetts. $755.00. Click here for more information. ATIA 2019 – The Assistive Technology Industry Association’s Annual Conference. Held on January 20-February 2, 2019 in Orlando, Florida. $560.00 Click here for more information. Local in-person workshops provide a welcomed opportunity to chat with colleagues and build relationships, but they do require me to be free on the dates offered and may require me to give up a day of seeing clients. This tradeoff is only worth it if there is a particularly interesting speaker or a topic that I am currently interested in exploring more deeply. The Subtle Presentation of Autism – Core features includes gender differences, motivation, and self-regulation by Dr. Bill Stixrud and Dr. Donna Henderson. Sponsored by LDAMC in conjunction with the Thrive Center for ADHD and Comprehensive Mental Health Care, Partnership for Extraordinary Minds, and ASHA. Held on November 2, 2018, at the ASHA National Office in Rockville, MD. $40 in advance. Click here for more information and to register. Promoting Resilience, Motivation and Social Competency by the Center for Communication and Learning – The 5th Annual Innovators in Education Conference. Speakers include Dr. Jed Baker, Dr. Christopher Willard, and keynote by Dr. Kenneth Rosenbaum. Held on November 10, 2018, in Rockville, MD. $195.00. Click here for more information and to register. Aphasia Access 2019 Leadership Summit – Bridging Service Gaps through Aphasia Care Collaborations. This is a gathering of professionals in the trenches of helping people with aphasia navigate life. Hosted by SCALE @ The League Aphasia Center in Baltimore, MD. Held on March 7-9, 2019. Click here for more information. I hope that many of you reading this will find this information helpful! Know of other learning opportunities? Please feel free to share in the comments section below.